The United States has seen the civil rights movement, women’s suffrage movement, and the environmental movement. All of these social revolutions have a prominent place in United States history. However, there is a new social action gaining more and more popularity known as the Clean Food Movement. The Clean Food Movement is driven by concerns over public health and sustainable food sources. The plan for this movement is to create substitutes for products like eggs and meat that have the same taste and even better nutritional content as the real food. At first this idea made me a little uncomfortable (I am not the biggest fan of genetically modified food or simply any unnatural food…like say Twinkies). However, many companies are actually trying to make these substitutes from natural sources like plants in order to meet the world’s hunger demands at a sustainable rate. Currently, Venture Capital firms seem to be driving all investment and research into the search for nutritious and satisfying food substitutes. The ultimate goal for businesses like Kleiner Perkins, Caufield and Byers, and Khosla Ventures is to create foods that will taste delicious but also be less detrimental to humans and animals. 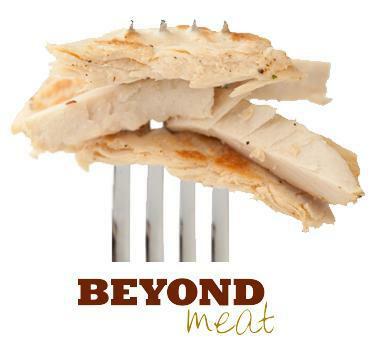 For example, a company called Beyond Meat created a soy substitute for chicken that obviously does not call for the death of any chickens and does not contain unhealthy animal fats. Overall, this movement is very much driven by our ever-rising demand for food and a need to cultivate agricultural lands at a sustainable rate. In addition, these food replacements offer options to people with special dietary needs or choices, such as vegetarians and vegans. These new foods could provide them with better sources of protein that wouldn’t involve them violating any of their personal dietary principles. Obviously more research needs to be done, but these edible alternatives might be the future of our food consumption due to a constantly rising population and increasing environmental strains. Furthermore, without some type of sustainable solution, eventually the world’s demand for food will be greater than its ability to supply. However, I will admit that for me it would be a tough dilemma deciding between eating completely natural foods and supposedly “healthier” substitutes. This opinion is probably what will be the most challenging for these food companies to overcome since some people are uncomfortable with the idea of not exactly knowing or understanding what they are ingesting. Despite this opinion however, I can see a lot of promise in this sustainability focused food industry, especially since the demand for food is only going to increase.